The Green Vibrations Festival is a short festival in May which offers live music, theater and food tastings. It is on May 30th and 31st. Nomads Festival is a one day event for wanderers to come together, share tips, stories, spread love and dance to the music. It will be held on June 29th. Biodanza Tribal Gathering may be a good option if you want to learn more about Biodanza (dance of life) and improve your self-awareness through movement and music. It is held in July. Psy-Fi Festival is a trippy one as you can understand from the video above. They have some incredible visionary art, projections and art sculptures. And of course… Music and dance. It starts on August 28th. HulaFest If you are into hooping and want to learn and share some tricks and ‘hoop’ your days away, Hulafest may be your calling! It is held in May. 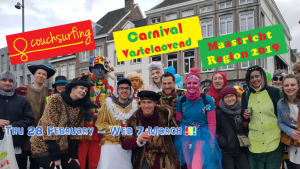 CS Carnival in Maastricht-Aachen is for couchsurfers and people who share similar ethos. If you want to meet fellow travelers and join a carnival, check it out! It is in February. Nederlands Jongleer Festival (Dutch Juggling Convention) looks very colorful with all the balls flying around the air. 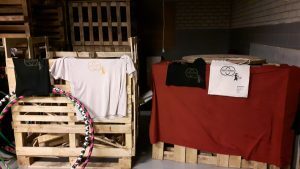 Whether you are a beginner or advanced juggler, this festival is a good excuse to be in the Netherlands in May. Amsterdam Tantra Festival is one of the biggest tantra festivals of Netherlands. If you want to learn more about this ancient teaching and maybe even start your journey to become a ‘tantrica’, you better be around Amsterdam in April. North Sea Tai Chi Festival Maybe you have some knowledge of tai chi, maybe you wonder what those “weirdly moving” people are doing at the park… Either way, this festival is a good start to deepen your knowledge or just learn about tai chi. It is a combination of exercise and conscious movement and all in outdoors. It is held in August. YogaFest Amsterdam is a 2-day event for yogis. It is usually held in June. Where the Sheep Sleep is the Netherlands’ take on Burning Man. It starts on June 27th. The Day of the Castle (Whit Monday) is the day when the castle doors are open to you… open to everybody. You can even spend the night at a castle since some have been transformed into hotels. Save the date : June 10, 2019. Bloemencorso Zundert Flower Festival (Flower Parade Zundert) is known as the largest flower festival in the world. Expect to indulge yourself in the scent of flowers. It is held in September. Scheveningen International Fireworks Festival Fireworks may be scary to some but if you are not one of those people, you probably love them. Then, you should check this one out. Between August 9th to 12th, just look up to the sky and enjoy the fireworks display in beautiful Scheveningen. Here you can find a summary of music festivals in the Netherlands. Maybe you’d fancy some more art festivals in the Netherlands.